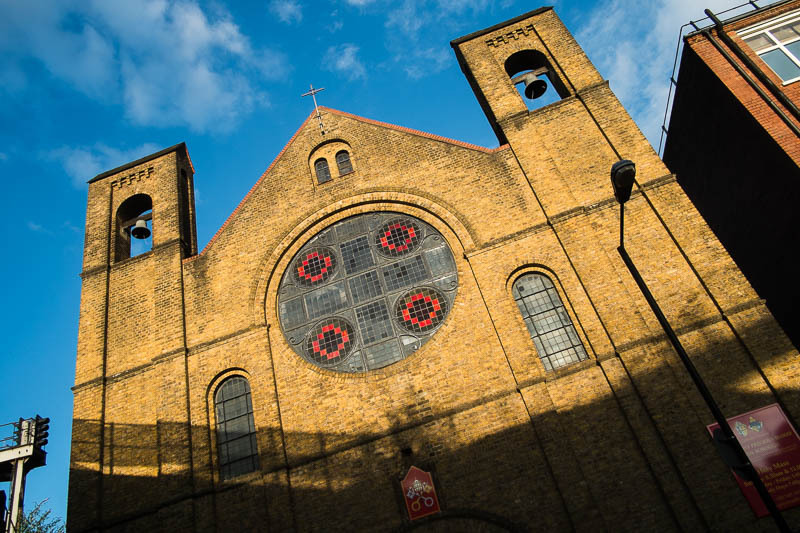 The colourful facade of the "church of the most precious blood" in Southwark. Love this shot and the beautiful light. Very impressive! I like the style.